Adam Jones: IS THERE STILL A PLACE FOR THE DEATH PENALTY? IS THERE STILL A PLACE FOR THE DEATH PENALTY? 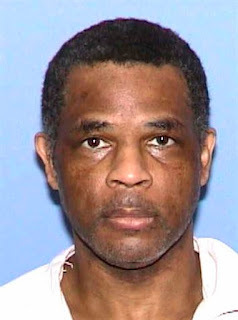 The death penalty has once again been brought back into debate after Marvin Wilson was recently put to death in Texas after a murder he had committed in 1992, despite claims being made he was mentally impaired. So, the question is, does the death penalty really have a place in today’s society? Gandhi once said “an eye for an eye makes the whole world blind.” That’s something I completely agree with. Just because this man committed murder, I don’t think he should've been killed as punishment. Surely that makes the person sentencing him to death just as bad, doesn’t it? 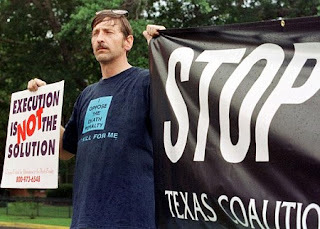 So, if people aren’t sentenced to death, what alternatives are there? Firstly, I believe there should be much tougher sentences, but for that to work, other things also need to change. Prisons need to be much tougher and abolish the ‘easy life’ image they currently have. One way of doing that would be to put prisoners to work whilst in prison so they are paying (at least partially) for the cost of them being in prison and reducing the burden on the tax payer. However, each case needs to be judged on its own circumstances. What if a young person commits murder; should they also be imprisoned for much (if not all) of their lives? This is the point where we need to trust that people can be rehabilitated and once again live in society. Of course, they need to be punished for their crime, but perhaps not to the same extent as someone who is considered more of a threat to society, such as somebody who has killed a number of people. One thing that I think is for certain, though, is that the death penalty has no place in today’s modern, civilised society. I’m just thankful we no longer have it in the UK. I must also thank BBC Free Speech for inspiring this blog with one of their lively debates. Make sure to follow them on Twitter and Facebook so you can join in their debates!